2004. By the Connecticut Motor Coach Museum. 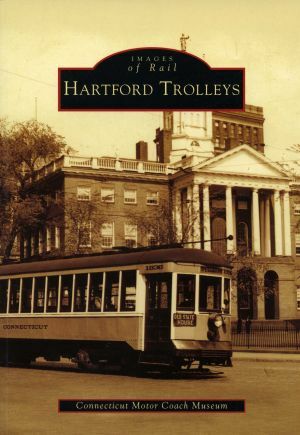 The pictorial history of Hartford, Connecticut's, fabled streetcar lines, which once included 125 miles of track. The book features many images taken by photographer Horace Bromley. Softcover. 128 pp. Published by Arcadia Publishing.